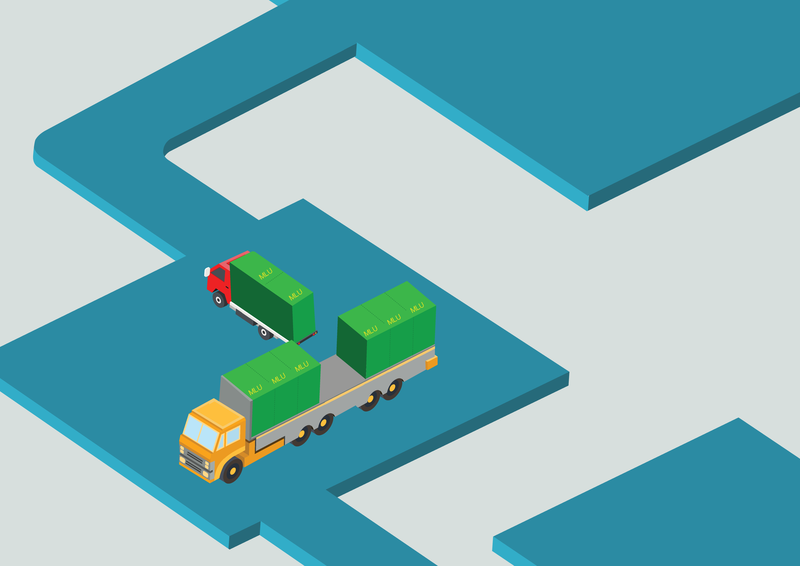 f supply chain processes, impacting on logistics equipment, infrastructure as well as execution and planning decisions on short-, medium- and long-term horizons. Increase load factors of boxes, containers and vehicles. NMLUs allow better fill rates (less void space) and can be easily combined, loaded and unloaded to increase load factor. Increase handling efficiency. Modularization reduces non-value-added handling activities. Increase first/last-mile delivery efficiency enabling innovative city logistics solutions. NMLU dimensions are in line with those of containers: 20 or 40 feet mainly used for deep-sea transport, and 45 feet mainly used hinterland/land or short-sea transport. Thus, no changes are required on current equipment used for loading/transport/unloading units. NMLUs enable standardization and modularization along the supply chain, allowing smaller and modular loading units to be combined in a larger loading unit. NMLUs improve reverse logistics, facilitating collection and storage of empty units.